If you ask your physician to sign a letter endorsing your use of an emotional support dog, what factors must he or she consider? The idea of using a dog as emotional support would seem to make perfect sense. After all, who wouldn't benefit from having a four-legged friend at his or her side? Here are a couple of considerations doctors make when assessing the benefit of an emotional support dog for patients with mental health challenges. 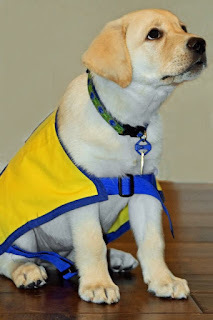 First, while there is good research showing the benefits of service assistance dogs for people with physical disabilities, there is little evidence for the use of service assistance dogs, let alone emotional support dogs, in mental illness. How are service dogs and emotional support dogs different? Service dogs are trained intensively by professionals for many months to perform specific tasks for people with disabilities. For example, trainers teach service dogs to open doors and turn on lights for people with physical disabilities. The dogs might serve as ears for hearing-impaired people or as eyes for someone who is visually impaired. Service dogs also can be trained as skilled companions for people with intellectual disabilities or mental illness. By contrast, an emotional support dog is not trained to do any specific tasks related to a disability, but rather provides a therapeutic benefit to its owner through companionship. Second, the lack of specific training requirements for an emotional support dog is problematic. Hopefully the patient’s dog is friendly, calm, and without unexpected behaviors, especially in public. But due to the lack of training, an emotional support dog may bark, act aggressively if it feels threatened, or be intrusive of others in public. By contrast, a service dog is trained to ignore distractions and cause minimal imposition to its surroundings. At the very least, an emotional support dog should have formal obedience training sufficient to obtain a canine good-citizen certificate, but longer-term obedience training would be even better. Ideally, the dog would be a skilled-companion service dog, trained in skills and tasks to help mitigate the patient’s specific disability. Hopefully in the not-too-distant future there will be an evidence basis for physicians to recommend emotional support dogs for people living with mental health challenges. For example, the Department of Veterans Affairs is participating in a three-year study to compare service dogs and emotional support dogs in the management of post-traumatic stress disorders. But until there is evidence to support the use of these dogs, most physicians will and should continue to steer patients towards treatments that show evidence-based benefit for their specific challenges.